Hello everyone! I hope you all had a great week. Today my article will be hijab outfits perfect for Ramadan. This year Ramadan started on June 6 and ends July 5. 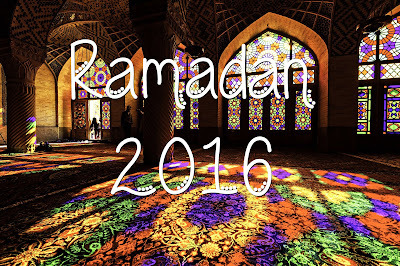 Ramadan is the Muslim Holy Month. It occurs during the 9th month in the Islamic Calendar. The Islamic Calendar is a lunar based calendar. During Ramadan, Muslims are supposed to fast during day light hours. The first meal of the day is before the sun rises after the first prayer Fajir and it is called 'suhur'. The second meal after the sun has set and after the Maghrib prayer is called 'iftar'. They are also barred from partaking in activities that are considered sinful, such as: swearing, lying, fighting and useless activities. Most Muslims partake in fasting when they hit puberty. Children, pregnant women, sick people, the elderly, and people who travel do not have to fast for Ramadan. Muslims also are encouraged to partake in charity during Ramadan. Here are the 3 outfits I made with hijabs. Luckily just before Ramadan SD released a Windows of The World collection that included hijabs which I used for this article. 1: This is a mauve coloured outfit that is modest and flowy. I used: 'Embellished Luxe Hijab' from Windows on The World, 'Ivory Georgette Blouse' from Wild Candy Couture, 'Mauve Mallard Maxi Skirt' from Sea of Stars, 'Baby Doll Platforms' from Velvet Orchid, and 'Gold Crystal Clicker' from Splendid. 2: This is a chic urban Hijab ensemble. I used: 'Dolce Gabbana Inspired Hijab' from Windows on The World, 'Be Braid Knit' from Nelly, 'High Waist Pants' from Royalty, and 'PPQ Patent Leather Pumps' from PPQ. Thank you for reading my article. I hope that those of you who are Muslim have a blessed Ramadan and that you find spiritual enlightenment. Ramadan Mubarak!